We offer events all over New Jersey. For more information regarding the programs please contact us. 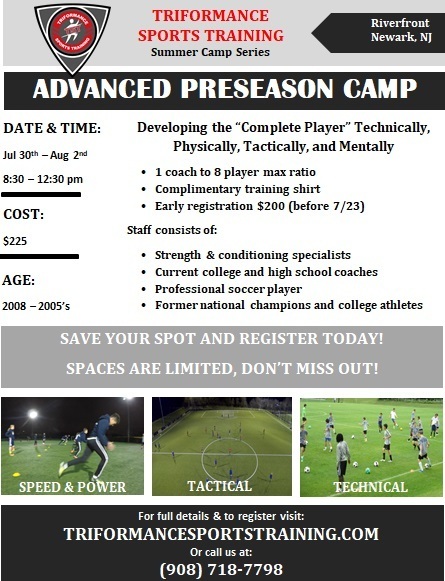 The BEST High Level Soccer Summer Camp in New Jersey! Born in : 2008-2005 This is a high level summer camp for the serious soccer player looking to develop and jump start their training before the fall season. 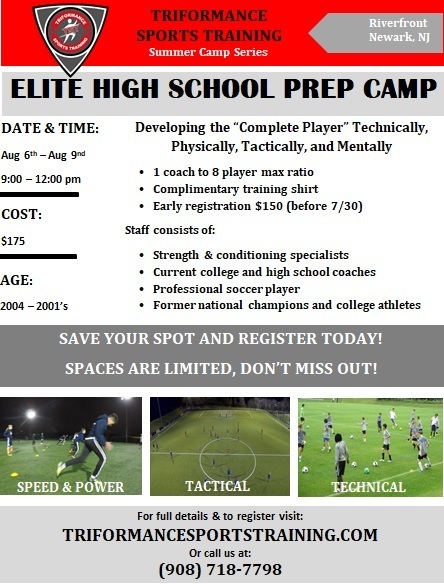 This camp will help you develop as a complete player. To develop to become a complete player you need to focus on physical, technical, tactical, and mental development. 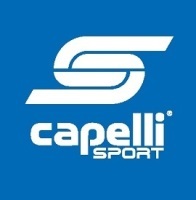 The summer camp series will be going over topics such as speed, power, strength, dribbling, passing, 2v2's, building out of the back, high pressing, and many more! Every participant will learn something new to improve them as a player GUARANTEED! The max player to coach ratio will be 8 to 1! Also we will maxing the camp to only the FIRST 50 players to sign up to guarantee the ratio!!! The Coaching staff combined has over 50 years of experience, with playing experiences as top National Champions, College Players, And Professional Players, and coaching experiences of State Championships, Varsity High School Coach, and Current College Coaches! For the Speed and power development portion of the camp their will be two certified Strength & Conditioning Coaches on hand! REGISTER FOR THE CAMP AND HOLD YOU SPOT TODAY! RATE: $200 before 7/23/18! Born in : 2004-2001 This is a high level summer camp for the serious High School soccer player looking to develop and make a difference this fall season. Whether their goal is to make the Varsity team or help their team win a state championship this is the camp for you. Here will help you develop as a complete player. The high school level is very physically demanding. This will be the last week you will be able to improve you game and fitness before high school tryouts the following week. To develop to become a complete player you need to focus on physical, technical, tactical, and mental development. The summer camp series will be going over topics such as speed, power, strength, dribbling, passing, 2v2's, building out of the back, high pressing, and many more! Also we will be including some high school fitness tests so you can see if you are able to pass your tests to make the varsity team. Every participant will learn something new to improve them as a player GUARANTEED! The max player to coach ratio will be 8 to 1! Also we will maxing the camp to only the FIRST 50 players to sign up to guarantee the ratio!!! The Coaching staff combined has over 50 years of experience, with playing experiences as top National Champions, College Players, And Professional Players, and coaching experiences of State Championships, Varsity High School Coach, and Current College Coaches! For the Speed and power development portion of the camp their will be two certified Strength & Conditioning Coaches on hand! REGISTER FOR THE CAMP AND HOLD YOU SPOT TODAY! RATE: $150 before 7/31/18!